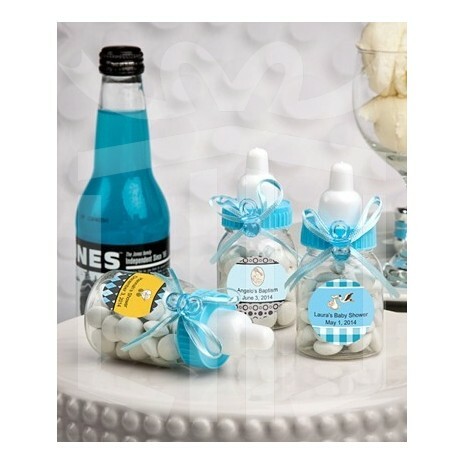 Send your guests home with this Perfectly Plain blue or pink baby bottle favor, filled with love! 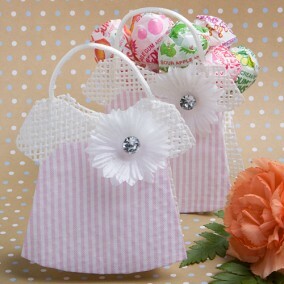 Wonderful give-away for your baptism guests. 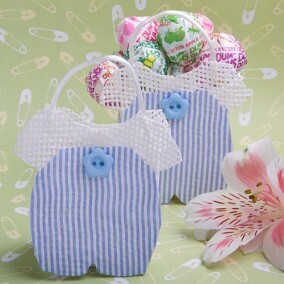 Surely your baby boy or girl is one-of-a-kind. 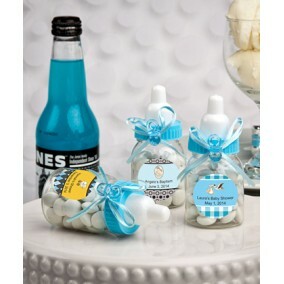 We offer these exclusive baby bottle favors to make it easy and fun for you to create one-of-a-kind baptism favors to celebrate his special day. 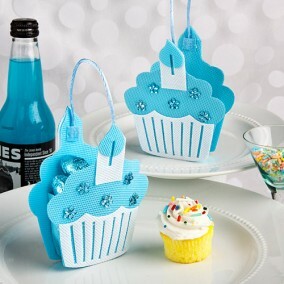 And, we're sure that the outpouring of smiles will make your day very special too! 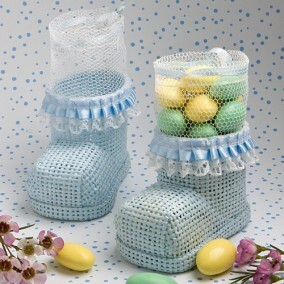 The top screws off for you to fill with your choice of treats - making this baby favor customized on the inside and the outside! The price is per piece! 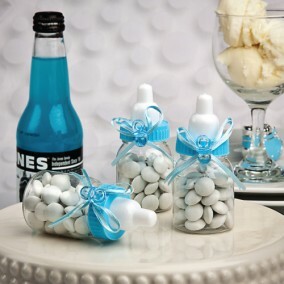 Attention: all favors are shipped without contents!